badly_knitted | And Another Stitching Update! The back stitching makes so much of a difference - and it looks lovely. I'm so glad you've been sharing your progress. Thank you! 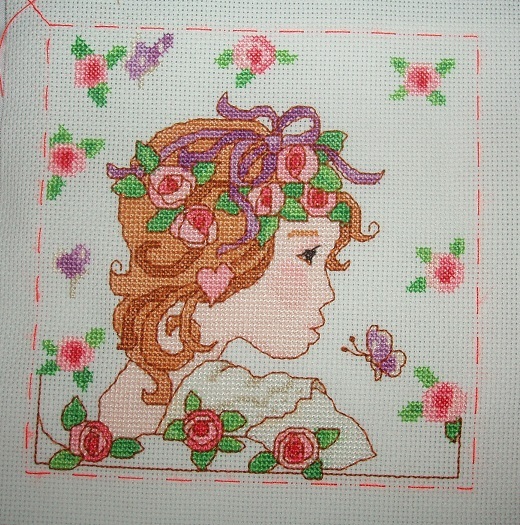 I wish I'd done more progress pictures while I was doing the cross stitching part, but I was distracted by stitching, lol! I have a butterfly that actually looks like a butterfly now instead if a vague purple splodge! Two more purple splodges await transformation, but they'll have to wait their turn. I'll get to them as I work my way around the border. I love the way back stitching brings a design to life.